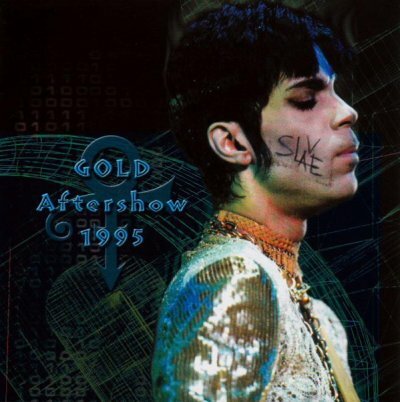 I've listed this as an aftershow from the Gold / Ultimate Live Experience tour, and it states on the accompanying artwork (and the title) that this is an aftershow from the tour but it's slightly misleading to say so. This is a one-off mini concert held in Belgium on a day off from the tour, so to class it as an aftershow is slightly incorrect. This is an excellent recording, and whilst the crowd are audible throughout they do not spoil the enjoyment of the show. Audience members can be clearly heard singing along and participating, but it adds a certain amount of atmosphere to the show and is in no way detrimental. The show itself is slightly different from many aftershows of 95, and is a nice mix of material performed from the main March 1995 tour as well as some aftershow favourites. 'Sing A Simple Song' is slightly more mellow than many other versions, 'The Most Beautiful Girl In The World' is performed as an instrumental with the crowd taking over vocals for the chorus and 'Loose' is very extended to incorporate various solo's from band members. 'Get Wild' is slightly disappointing in comparison to many other versions from the tour and is missing many of the samples which make it so enjoyable, however the closing 'Gold' more than makes up for it. Overall, whilst this show certainly lacks the passion, grit and all-out-funk of some other 1995 one-off shows, it is funky and the recording is of very high quality. Fun aftershow gig. A good document... where has this release been?